First Kiss Friday with my guest Regina Jeffers & a Giveaway! Today on First Kiss Friday, it’s my pleasure to introduce you to Regina Jeffers who will be sharing a bit of history and an excerpt from, The Earl Claims His Comfort. Read on and enjoy! In most historical romances, the idea of a peerage passing from one male in the family to another is part of the plot line. But exactly what was the procedure when a peer holding a title passed? Letters patent customarily state the order of descent, usually through the male line. Only legitimate children (meaning the parents are married at the time of the child’s birth—not necessarily the time of his conception) are permitted to succeed to a peerage. This means that the peer has NO choice as to whom will succeed him. He CANNOT disown his heir. Without a son as the heir apparent, most patents will have the peerage become extinct. Occasionally, the letters patent will permit a brother or nephew or cousin to inherit (as in the case of Admiral Lord Nelson), and rarely females/daughters may inherit. All is determined by how the the letters patent are worded. Nothing can be changed after the patent by which the peerage was created are signed. Meanwhile, an heir presumptive can be the peer’s brother, uncle, cousin, etc. The heir presumptive will never be the heir apparent. He can NEVER be presented with one of the courtesy titles associated with the peerage. What of tradition? If a peer dies, his heir does not automatically assume the peerage’s seat in the House of Lords. For several reasons, there is a “waiting” period. The most obvious reason to wait is to determine if the deceased peer’s widow is pregnant. This would also be in effect if the heir apparent likewise dies, as in, for example, a father and son killed in a carriage accident. If so, the heir presumptive must wait to determine if there is to be a child and if that child is a son. If an obvious heir is available (with no question of waiting) the new peer is not presented by his new title right away. 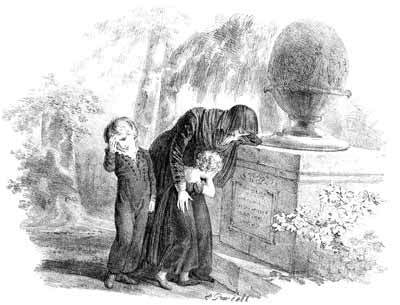 Likely, the estate servants, solicitors, and other who serve him, will call him by his new title, but as a matter of courtesy to the widow and any children, he is not summoned to the House of Lords until after the funeral. This was not a legal matter, but more a matter of etiquette. However, because it was not a matter of law, but of custom, there was a wide variation in the observance. After the funeral and the will are addressed by the executor, the new peer sends a petition to the Lord Chancellor, asking that a writ of summons to the House of Lords be sent so he can take his seat in the current or next session of Parliament. The heir must PROVE to the HOL that his parents were married at the time of his birth, that he is the son they delivered from the mother’s pregnancy, that he is 21 years of age (reached his majority), and that he is a member of the Church of England. If no son exists, the heir presumptive must assume the burden of proof. He follows the same procedure, except that he must also prove that he and his father and all others between him and the deceased were legitimate descendants of the original holder of the letters patent and that they are dead. Once the proofs are accepted, a writ of summons is sent to the new peer for him to take his seat in the House of Lords. So what happens if the heir held an honorary title of viscount or such at the time of the peer’s death, would the HOL call him to the House under that title? The answer is NO. He would only be called to the House of Lords in his father’s barony—if the father had one. He would be a viscount socially, but a baron in Parliament. Hurrying home to Tegen Castle from the Continent to assume guardianship of a child not his, but one who holds his countenance, Levison Davids, Earl of Remmington, is shot and left to die upon the road leading to his manor house. The incident has Remmington chasing after a man who remains one step ahead and who claims a distinct similarity—a man who wishes to replace Remmington as the rightful earl. Rem must solve the mystery of how a stranger’s life parallels his, while protecting his title, the child, and the woman he loves. Comfort Neville has escorted Deirdre Kavanaugh from Ireland to England, in hopes that the Earl of Remmington will prove a better guardian for the girl than did the child’s father. When she discovers the earl’s body upon a road backing the castle, it is she who nurses him to health. As the daughter of a minor son of an Irish baron, Comfort is impossibly removed from the earl’s sphere, but the man claims her affections. She will do anything for him, including confronting his enemies. When she is kidnapped as part of a plot for revenge against the earl, she must protect Rem’s life, while guarding her heart. Excerpt from the end of Chapter 4 and the beginning of Chapter 5…Miss Comfort Neville and Lord Remmington have successfully fought off two attackers, who meant him harm. Scrambling to recover the gun he dropped upon the bed when he tumbled backward, Rem staggered toward the open portal. There was a second assailant somewhere in the house, and he must find the man before the culprit brought harm to Miss Neville or the child. Stumbling through the opening, the sight of Miss Neville wielding a heavy cooking pot and standing triumphantly over the crumpled form of darkly clad attacker brought Rem up short. She glanced to him with real concern crossing her features. “Please tell me you did no additional harm to your leg,” she said in a breathy voice. For some insensible reason, her remark did not sit well with Rem. Perhaps it was because he desired her good opinion. He ignored her lofty accusation as his eyes narrowed. “Would you have me accept my attacker’s intent?” he demanded testily. With a shake of his head in disbelief, Rem crossed to her and scooped Miss Neville into his arms. He tugged the pot from her grasp to set it on the table beside her. “All is well,” he cooed, as she snuggled deeper into his embrace. Rem realized she trembled from fright, as well as from relief. “I feared I failed you,” she confessed. Rem’s embrace tightened about her, edging Miss Neville closer. Her heat warmed his body from chin to abdomen. The rightness of her in his arms nearly knocked his defenses off kilter. His emotions screamed with disorientation. He told himself his reaction was that of any man to the temptation of an exceedingly handsome woman, but Miss Neville’s uneven breathing invaded his reason. He used his fingers to lift her chin so he might look upon the woman’s countenance. The lady’s brilliant eyes sparked with recognition. Despite being the type of woman he customarily avoided, Rem realized he wanted her more than he thought possible. She was fine boned with a sprinkle of freckles across her nose. In the pale light of the banked fire, her hair lacked the spark of red noticeable in the daylight. Even so, an otherworldly halo surrounded her. Rem could not explain what provoked him to act upon his desire. Mayhap it was Malvern’s voice in his head, encouraging Rem to claim a bit of happiness, or mayhap it was simply pure insanity. Slowly he lowered his head to brush his lips against hers. Although he had yet to taste her, Rem recognized the desire melding them into one. “My lord,” she groaned as he edged her deeper into his embrace. And then the moment ended as quickly as it began. “Miss Neville!” Deirdre called. The child’s voice echoed through the servants’ hall. Rem shoved Miss Neville from his hold and took a step back. He could see the confusion crossing the woman’s features, but she recovered quickly. By instinct, she turned to capture Deirdre into her arms as the child burst into the room only a few steps ahead of Elda and Sally. Rem thought of Mr. Flood, but he kept his opinions to himself. He would find a means of removing control from Flood’s hands without usurping a long-time servant. Rem blamed himself for permitting Flood so much control. He had turned his back upon his home seat. He had performed his duties to the employment of the villagers and the upkeep of the estate, but he had never sown the seeds of loyalty that belonged to his father and brother. It was difficult to build connections when one was never in residence. The acknowledgment was a poor excuse. After her proclamation of his goodness, Miss Deirdre hugged him about the legs before accepting Elda’s hand. As odd as it would sound to others, Rem wished to call the child back and claim a bit of her innocent loyalty, for it had been too long since he knew such kindness. “We will begin by securing my assailants’ hands and feet before they come to, and then we will discuss what just occurred,” he instructed. Rem’s frown lines deepened. Before the attack, he had dreamed of seducing her, and then she was there before him and so vulnerable he could not resist capturing her into his embrace. He had known the woman only a sennight, and she had already shredded his well-honed defenses. Since Delia’s desertion, Rem had carefully constructed walls about his emotions and his heart, and he did not approve of what he was about to do, but he did it, nonetheless. Catching Miss Neville’s hand, he jerked her into his arms. At the same instant, Rem lowered his head to claim her mouth in desire. Although her awkward need announced the woman an innocent, he fused their lips in a heated exchange. When she gasped, Rem’s tongue invaded her mouth, demanding she return his passion. Surprisingly, the woman clung to the silky banyan and his shoulders, and she pressed her luscious curves against the flat planes of his body. Pure unadulterated want warmed every bone in his body, and it took every ounce of his renowned discipline to withdraw his mouth from hers. The thought of tossing his attacker out into the kitchen for Malvern and Sir Alexander to question, while he carried Miss Neville into the small bedroom and to bar the door, caught him with its intensity. It was insanity that he practiced, but all Remmington wished was to mark Miss Neville as his. “There. Now you cannot claim nothing occurred,” he whispered huskily against her temple. The woman swayed against him. “Remind me to avoid future arguments with you, my lord,” she murmured. He spoke the truth. Even when he had kissed Miss Lovelace, Rem felt only the pleasantness of finding a comely female in his embrace. At the time, he thought the response enough to bring him happiness. Now, he doubted anything less than a love relationship would satisfy him. 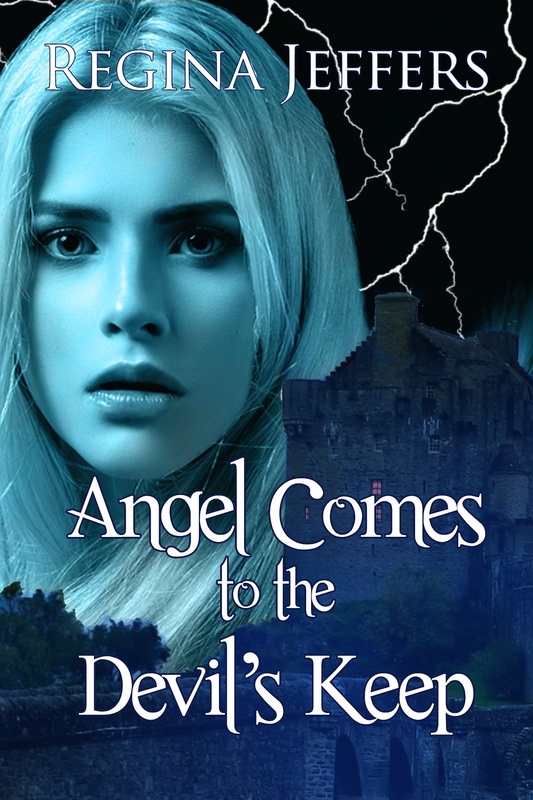 Huntington McLaughlin, the Marquess of Malvern, wakes in a farmhouse, after a head injury, being tended by an ethereal “angel,” who claims to be his wife. However, reality is often deceptive, and Angelica Lovelace is far from innocent in Hunt’s difficulties. Yet, there is something about the woman that calls to him as no other ever has. When she attends his mother’s annual summer house party, their lives are intertwined in a series of mistaken identities, assaults, kidnappings, overlapping relations, and murders, which will either bring them together forever or tear them irretrievably apart. As Hunt attempts to right his world from problems caused by the head injury that has robbed him of parts of his memory, his best friend, the Earl of Remmington, makes it clear that he intends to claim Angelica as his wife. Hunt must decide whether to permit her to align herself with the earldom or claim the only woman who stirs his heart–and if he does the latter, can he still serve the dukedom with a hoydenish American heiress at his side? With 30+ books to her credit, Regina Jeffers is an award-winning author of historical cozy mysteries, Austenesque sequels and retellings, as well as Regency era-based romantic suspense. A teacher for 40 years, Jeffers often serves as a consultant for Language Arts and Media Literacy programs. With multiple degrees, Regina has been a Time Warner Star Teacher, Columbus (OH) Teacher of the Year, and a Martha Holden Jennings Scholar and a Smithsonian presenter. Also on Pinterest, LinkedIn, and Google+. Now for the GIVEAWAY. 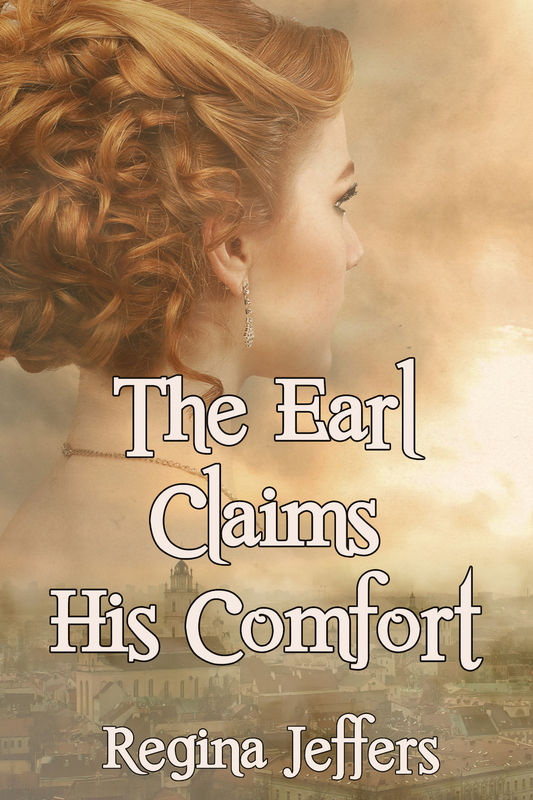 I have two eBook copies of The Earl Claims His Comfort available to those who comment below. The giveaway will end at midnight EDT on Monday, October 9. Thanks for hosting me, Sherry, as part of the book’s blog tour. You’re very welcome. Thanks for being my guest! I love to take a bit of history and make it a plot point in my romantic suspense, Alison. Thanks for joining me today. Do you not just love the internet? I admin on several group blogs, and I am always tweaking some new break in the system. LOL! We have you covered, Alison. Rights of succession are confusing! They certainly are, Tracee, but believe me, if an author gets it wrong, someone will call them on it in a very public way. Hi Regina and Sherry. I have to say my first thought in reading this before I looked at your bio was the language was more old style than usual. Or as your say Austenesque which I have say is enjoyable! I love a bit of mystery with any story so I really need to read your work. Sounds very intriguing! It is always nice to meet new authors to me and I thank you! Lori, I am glad you joined us today. Several of my books have been both Daphne du Maurier finalists and Chanticleer International Book Award finalists for mystery/suspense. I really enjoyed both novels so far in this series. Looking forward to volume three. Thanks for the review and best wishes with the novel and novels to come! Good morning, MaryAnn. Thanks for following me over here. You are the best. Thank you and the feeling is mutual! My thanks to Regina for not only being my guest but for also offering a giveaway to my readers. This giveaway is now closed and the winners are Lori, Tracee, and Alison. Congratulations to the winners. Regina will be contacting you directly to get your information. Thanks to everyone who left a comment.